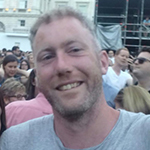 Dr Finian McCann is a Senior Lecturer in the Division of Civil and Building Services Engineering of the School of the Built Environment and Architecture, specialising primarily in structural engineering. His research interests include steel structures, nonlinear mechanics, fire safety, structural behaviour in fire conditions, composite steel-concrete structures, metallic foam sandwich panels, glass fibre-reinforced polymers and modular construction techniques. In investigating these topics he combines analytical theory and numerical modelling methods with experimentation, all conducted at LSBU. He also conducts and oversees structural component qualification testing for external clients, along with knowledge development projects for industrial collaborators. Finian lectures modules covering structural analysis, structural design and engineering mathematics at both undergraduate and postgraduate levels. McCann, F and Wadee, MA and Pearson, J and Gardner, L Postbuckling behaviour of beams with discrete nonlinear restraints. In: 7th International Conference on Coupled Instabilities in Metal Structures, 7- 8 November 2016, Baltimore. McCann, F Postbuckling strength of slender elliptical hollow sections in compression. In: Proceedings of 6th International Conference on Structural Engineering Mechanics and Computation, 05 September 2016 - 07 September 2016, Cape Town. McCann, F and Wadee, MA Harmonic analysis of elliptical hollow section tubes in blending.. In: Engineering Mechanics Institute Conference 2016, 22 May 2016 - 25 May 2016, Nashville, USA.